The event was a great success with Vet Dr Jacqui Molyneux and teacher/clincal behaviourist Mechelle Jacques presenting an informative, extremely professional yet user friendly, event (complete with live canine patients). We do hope to repeat this extremely popular course some time in the future. Please note how results for GPRA will be accepted from many different laboratories. Also note the KC will differentiate between linkage tests and gene based tests. Important research is being undertaken by Animal Health Trust on Mast Cell Tumours in the Labrador. 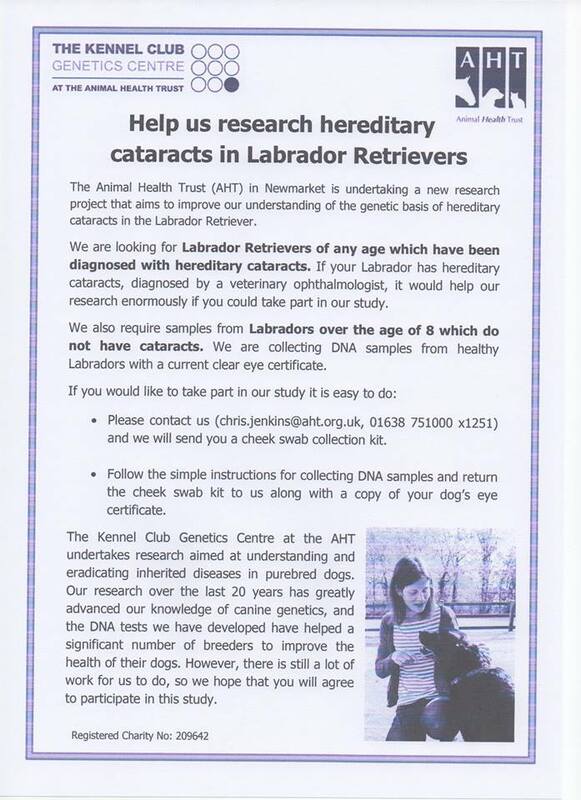 If you feel you could help with the research please click here for details from Mike Starkey, Head of Animal Oncology at AHT. ​YOU and YOUR LABRADOR COULD REALLY MAKE A DIFFERENCE. 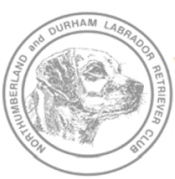 The links above give details how we as Labrador owners, can assist them. You can also click the buttons below to see summary tables of data over the last 15 years for the following sub-groups which we hope you find informative. Many thanks to Andy Smith for a very useful piece of information on Hip Dysplasia. The chart and attached information, shows the trend for Labrador Retrievers mean hip scores of tested progeny by sire. It includes all KC held data from 2000 to the end of 2013.